Watchman is an upcoming tamil film directed by Vijay and produced by Arun Mozhi Manickam under Double Meaning Productions. 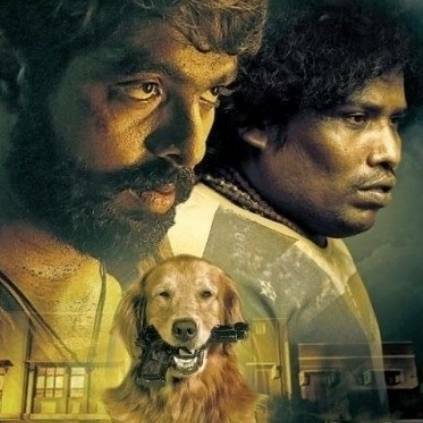 It stars G.V.Prakash, Suman Raj in the lead roles. With the movie all set to release in theatres worldwide on April 12, the promotions for the movie are going on in full swing. The makers have had an exclusive special screening for school children recently. This exclusive special show for school children seemed to have stirred good response from the kids. Since it is a dog that plays the pivotal role in the film, the children were very much excited and got attracted towards the movie and all of them had very positive responses. This seems like a good take off for Watchman but will it impress the mass audiences of families and youngsters alike is a question that can be answered only after its release. People looking for online information on A L Vijay, Double Meaning Productions, GV Prakash, Nirav shah, Watchman will find this news story useful.